The Somat is a beautiful self-care tool designed to calm the nervous system and relax the spine. 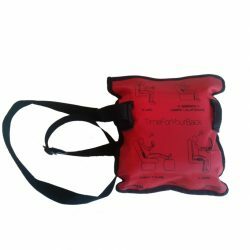 Used with breath and prescribed movements, the Somat promotes spinal alignment and relieves deeply-held stress. Working on the Somat promotes release of your neck and back and relaxes your entire body and mind. The spine decompresses, thinking slows down, and you tune in to your body intelligence – the language of sensation. The Somat method helps you become more responsive to the body’s needs and how you can nourish them. Ingrained fight-or-flight responses shift to relax-and restore. Your nervous system becomes your ally. From this new place it is easier to take action that promotes personal wellness and health. The Somat is designed as a tool for self-care. Four movement sequences are provided on the DVD included with any Somat purchase. Just ten minutes a day can shift your spinal alignment, increase awareness of your body, and improve your emotional outlook. In one-on-one wellness sessions, a trained Somat teacher can evaluate your presenting issues and guide you with movements aimed at addressing root cause. Take home an individualized therapeutic sequence to keep the momentum going no matter your lifestyle. Schedule a nourishing Somat session into your lifestyle with an ongoing weekly class or monthly workshop. Deepen your understanding of Somat techniques in specially-focused workshops. 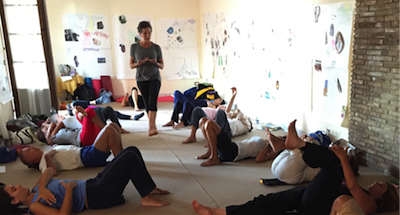 Host a Somat workshop at your workplace, movement studio, place of business, or in your own home. I first started using the Somat in a group class with Chiara Guerrieri. After the first two classes, I realized I had to buy my own so I could use it at home. As a long-time Rolfing practitioner and yoga teacher, I’ve picked up different aches, pains, and repetitive stresses, especially in my shoulder girdle as the result of a previous injury. My team of acupuncturists, massage therapists, and fellow Rolfers would help me reestablish functionality, only to lapse back into pain when I worked with my clients again. After taking just three Somat classes, I no longer had shoulder pain. The gentle traction applied to my cervical spine while lying on the Somat allowed me to create space where before there was just a tangled mess. Now, when I am working with my clients, I can evoke that sense of space and length in my spine, and feel the shoulder decompress. I no longer get myself stuck in a cycle of pain and immobility. The Somat has been such an empowering tool – literally changing the way I relate to my injured part in a lasting way. Thank you, Chiara and Somat! 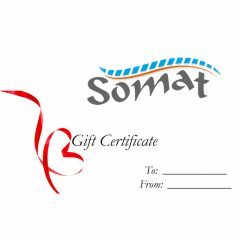 Do you have specific questions about Somat? Would you like to schedule a private Somat session? Or would you simply like more information about this unique product and its benefits? Please use our convenient contact form to reach out to us. We will generally respond within 1-2 business days. Or you can call us at +1.206.265.0113.